Pregnancy after a loss is a special time and a challenging time. Grief and hormones send you on a roller coaster of emotions. Constantly pulled in two directions, you want to be excited and happy about the child growing inside you, but want to honour and cherish the child that came before. You can’t quite enjoy the moment, trying to strike the balance between hope for the future and grief for what has been lost. And all the usual sources of advice; the parenting web sites, friends and family, pregnancy books, and even your doctor/midwife just aren’t able to address your needs. Like a shoe that doesn’t fit, their suggestions feel uneasy and uncomfortable. “Just relax!” Oh, how I hated those words! Of course, it isn’t just well-meaning family and friends who put their foot in their mouth. Sometimes even health care professionals, who are aware of our history and ought to know better, are the ones who say the wrong things. One medical resident, when I came for an emergency consult (turns out I had pneumonia! ), looked at my chart and said “Boy, you’ll be busy with 5 kids at home!” The minute she opened her mouth, she knew what she’d said was wrong, and I know she felt terrible. Doctors are humans too and in her rush to see me for my immediate problem – I couldn’t breathe – she forgot to think about my other concern: that my first three pregnancies ended in loss. 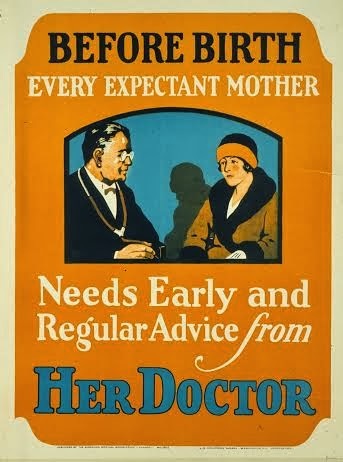 Well-meaning advice from the American Medical Association in the 1930s. Do I have advice for women traveling this journey of pregnancy after a loss? Maybe. If you have suggestions, please add them in the comments here. Each of us has a slightly different experience, a slightly different story to tell. We can learn so much from one another. 1. When booking your first appointment, ask the receptionist if you can have a little extra time. It might only be 5 minutes, but it will help ensure that you can get your questions answered and not feel rushed. 2. Practice what you want to say beforehand. Write it down and read it aloud to a friend or your partner. By practicing in advance, you’ll feel more comfortable telling your story and they can give you tips on how to make it better. 3. Bring a pen and paper to appointments and write down any questions you have. If there are words you are unfamiliar with, you can ask them to write them down so you can look them up later. 4. If you want to, bring your partner or a friend to your appointments. They can catch things you miss and may be able to remember things you’ve forgotten. 5. Remember your doctor / midwife isn’t psychic! Be sure to tell them about your concerns, and about any herbal or natural medicines you’re taking. They’ve heard it all before and shouldn’t judge you. 6. Ask if you can communicate via e-mail. More and more doctors are comfortable with this and sometimes it is easier to write things than say it to their faces, especially if you’re emotional or embarrassed. The best relationships are built on a foundation of good communication and trust. When you’ve experienced a loss, that trust is often broken, even if you don’t blame your doctor or midwife for the death of your child. Your faith in a healthy pregnancy has been shattered. If you’re feeling uneasy with the care you’re getting, let them know. How they respond will hopefully make the trusting a little easier. Whatever you do, be kind to yourself and kind to others. It goes a long way toward making the world a better place. Amanda Ross-White is the proud mother of four beautiful children, including her twin boys Nate and Sam, who were stillborn in 2007. She is eternally grateful to watch her rainbow children, daughter Rebecca and son Alex, grow around her. 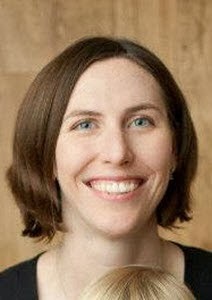 Since joining the sad world of the babylost, she has become dedicated to furthering research into stillbirth and neonatal death, as well as the unique parenting and relationship challenges for babylost mothers. In her day job, she helps connect people to the medical and health information they need, and sees the need for better communication between babylost mothers and their health care providers. She’s currently writing a guide for a pregnancy after a loss. (Photo courtesy of Courtesy Maryl Cook Photography). What a beautiful letter. Thank you Lindsey and Amanda. Is there a way to find out when Amanda's guide to PAL is available?